Ticks are a part of being outdoors. These blood sucking arachnids carry disease and should be removed as soon as possible. 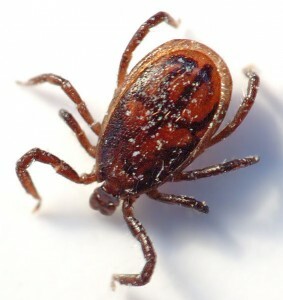 The sooner an attached tick is removed, the less likely it is to transmit disease. The video below shows the correct way to safely remove a tick. But even better than knowing how to remove a tick is knowing how to prevent them from biting in the first place. Use a permethrin-based clothing spray repellent. Permethrin products do not have a smell and do not affect the comfort of the clothes at all. Follow the manufacturer’s recommendations. You often need to apply these products a couple of days before wearing the treated clothes. If you do have to remove an attached tick, kill it an tape the removed tick to a calendar on the day you removed it. Be sure to see a doctor if you get sick or develop a rash after you remove the tick. You will be able to tell the doctor the day you removed the tick and it will be available for testing. Video from: TickEncounter.org (A great source for tick-related information).